Mobile Browser: ACTIVATE! « You know… that Blog? So, a while back The Other Jenn told me about Jetpack for WordPress. Things had been working well for me for the most part so I hadn’t actively sought out new plugins for the ol’ blog for a while, and this was news to me. I tried it, and WOW! I really like it! There are a whole raft of things you can do with it, but the biggest two, for me anyway, were 1. the ability to post simultaneously to Facebook and Twitter, and 2. Optimize the site for mobile browsers, which I just did a few minutes ago. 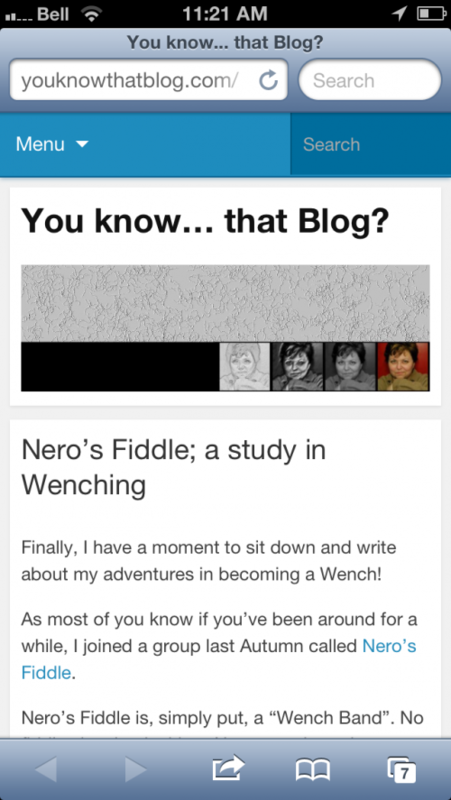 Would you mind calling up my blog on your smart phone, and letting me know how it looks? I’d appreciate the feedback. Looks good on mobile gadget from clinic!